Most athletes that compete in obstacle races no full well what they’ll get from participating… muddy, beat down and a great sense of accomplishment. They can’t get enough! Investing in the education and training to make an athlete stronger runners, have the ability to put in more work injury free, is a hard sell. We believe it’s because most people simply don’t know what to expect. It’s hard to compare the bang for their buck until… they have experienced the benefits first hand as so many other athletes have. This episode features Chris Schapman an elite OCR athlete who understands the value and asked that we do this Q&A in hopes that those who are curious can hopefully see the forest for the trees and wrap their heads around what exactly they can expect. If you are one of those people who are just not sold, this episode is for you! 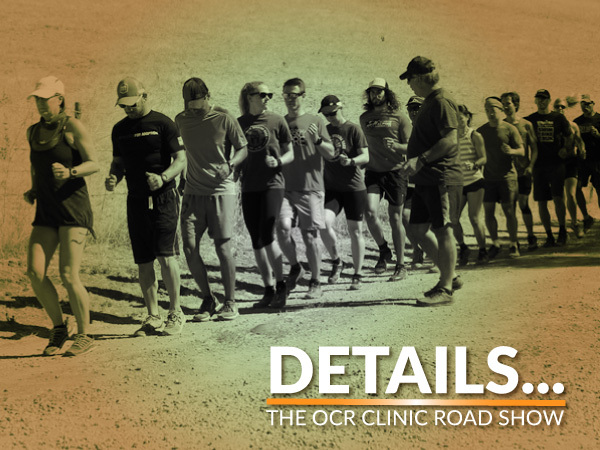 ← OCR Nutrition – Eat to Win!